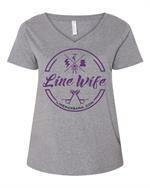 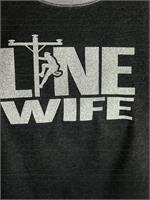 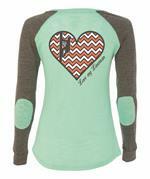 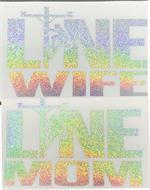 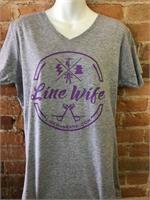 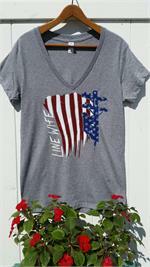 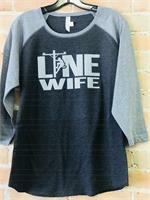 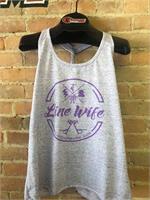 Line Wife iridescent bling 3/4 sleeve shirt. 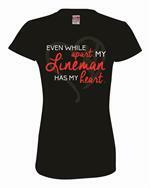 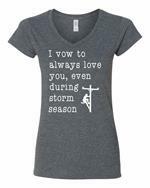 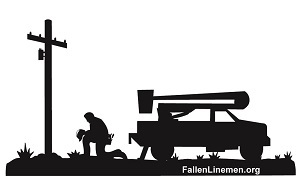 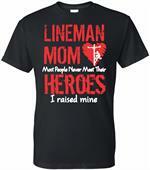 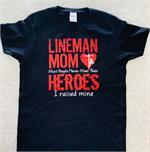 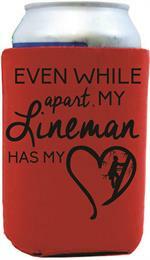 Even While Apart My Lineman Has My Heart! 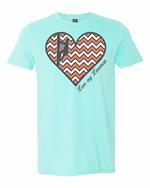 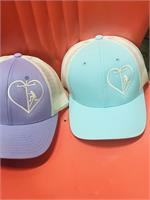 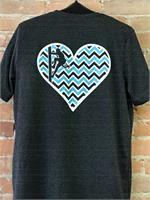 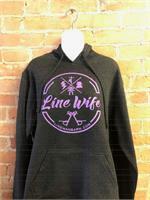 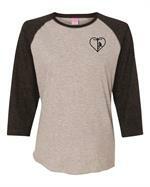 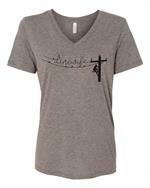 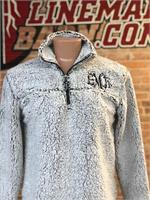 relaxed fit in ladies sizes, not juniors!